To me the Smoky Mountains is one of the most special places in the eastern US. One where photo opportunities are endless with cascading streams, waterfalls, and wildflowers abound. Foggy mornings in places like Cades Cove can be magical. Having been there many times, both in spring and in the fall, I have always wanted to host a spring workshop. So this past October I returned there, and had the previledge to speak for the Southern Appalachian Natures Photographers Association. While I was there I discussed this idea with their president, and long time friend Kendall Chiles and he has agreed to asist me this coming April for my workshop. Kendall is an excellent guide and knows the area extremely well. Our base camp will be at the Tremont Lodge in Townsend only a few miles from the entrance to the park and very close to Cades Cove a premier destination for all types of photography. Below is the itinerary of what I hope will be an annual event. Please join me and Kendall as we explorer the Great Smoky Mountains and spend three full days photographing waterfalls, wildflowers and more. April 26th: 6:00pm Meet and Greet with other participants in the Lodge room at Tremont Lodge. Have a short slide presentaion of images from the area provided by both myself and Kendall Chilles, and discuss the itinerary. April 27th: 7:00am departure and head to Cades Cove for a morning shoot. Take a break at mid day for lunch in Townsend then head back to the Tremont area for for streams and wildflowers. April 28th: 7:00am departure head to the Roaring Fork Nature drive for a morning shoot of streams, wildflowers, and log cabins. Break for lunch midday then spend the afternoon in the Greenbriar section of the park for waterfalls and wildflowers. 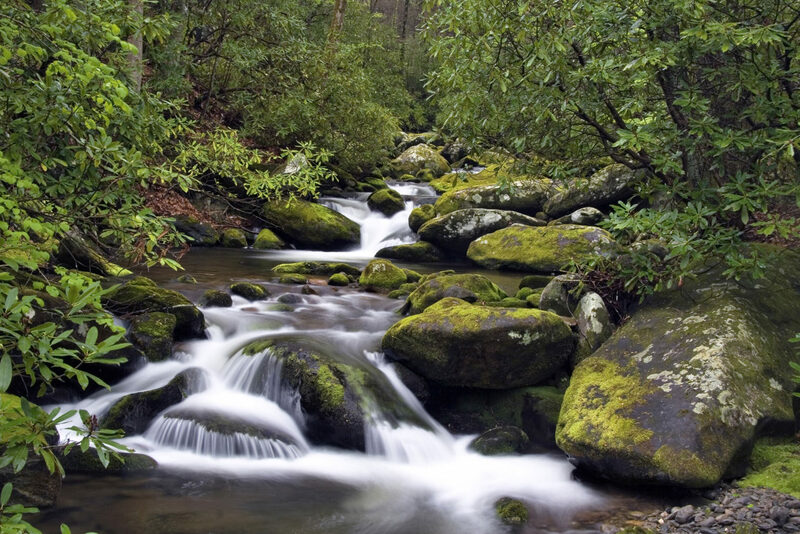 April 29th: 7:00am departure Sunrise shoot at Foothills Parkway and then spend the morning in the Elkmont area for waterfalls and wildflowers. Break for lunch midday and the spend the afternoon back in Cades Cove for an afternoon shoot.